What makes difficult emotions so difficult? In this course, we will use the frameworks of insight meditation practice and inquiry to understand the potential for transforming our relationship to specific emotions. In particular, we will use the teaching of wise effort and view to understand how suffering arises when we attach to, or identify with, difficult emotions. By practicing with these principles when emotions such as fear, anxiety, self-judgement, anger, or shame arise, we can cultivate more skillful, compassionate ways to be with these common experiences and discover greater ease and inner freedom. Learn how wise view and wise effort can lead to greater freedom and the deepening of compassion when difficult emotions arise; and develop the capacity for meditative inquiry rather than resistance and avoidance when working with challenging emotions. Suitable for both beginning and experienced practitioners. 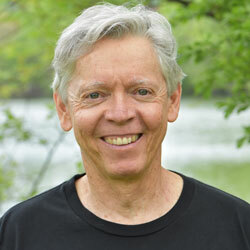 Michael Grady is a core teacher at the Insight Meditation Society and has been a guiding teacher for more than 20 years at the Cambridge Insight Meditation Center, an urban dharma center that emphasizes contemplative practice in daily life. Michael began practicing Insight meditation in 1974 with Joseph Goldstein and Sharon Salzberg. More recently, he trained with the late Master Sheng Yen and was introduced to the practice of Silent Illumination in the Chan tradition. This class is currently full. We are only accepting registrations for the Waiting List.